Contact Sonja or Michelle at Hear No Evil - Australian Deaf Dog Rescue to express your interest. Another successful adoption - amazing work Hear No Evil - Australian Deaf Dog Rescue! 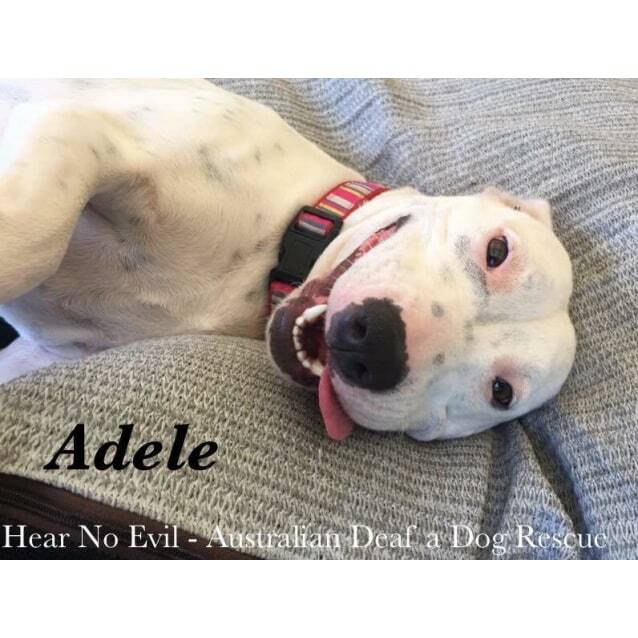 More successful adoptions - amazing work Hear No Evil - Australian Deaf Dog Rescue! Miss Adele is a 12month old Am Staff x Am Bulldog who has been with us for a little while now, and is more than ready to find a home she can call her own! Our smiley girl is full of life and has such a happy goofy personality. She's an affectionate girl who adores her people and is always ready for a cuddle. Her basic training is improving everyday and she's very keen to keep learning. She follows even the subtlest sign cues so dog sports would be a breeze! Adele would thrive with a strong, confident handler committed to continuing her training and building her confidence. 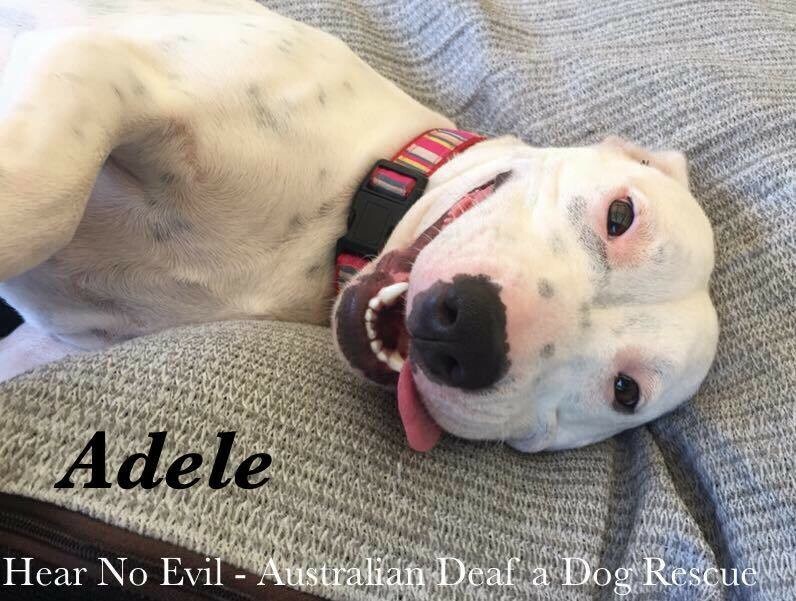 Adele is crate trained, toilet trained and walks wonderfully on leash. Adele is a relatively active girl who loves a fun game and a run at the dog park so a canine buddy at home would be great but not essential as she would thrive as a solo dog. Adele is desexed, vaccinated, microchipped and heartworm/worm/flea/tick treated. 1st Step * You contact us to obtain an adoption application, and discuss the dog of interest. Once the application is completed and returned it will be assessed for suitability. 2nd Step * A Meet and Greet with the dog and all members of the adopting family and and current dogs is arranged where possible. This usually coincides with a Yard check to ensure the safety and security of the property on which the dog will be kept. - We understand that this is not always possible in interstate adoptions and this will be discussed on your initial contact. 3rd Step *Payment of the Adoption fee in full. The dog is then handed over with any belongings, and all relevant paperwork and records. Transport arrangements are the financial responsibility of the Adopting party. 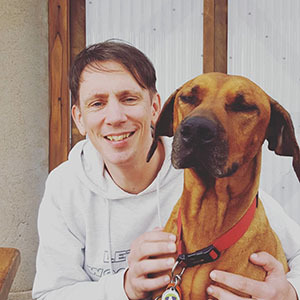 Hear No Evil are happy to assist with departure preparations and ensuring the dog makes its transport connection. 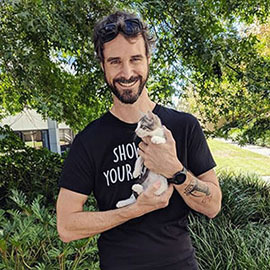 Final step * Once the 14 day 'settling in' period has ended, the change of ownership microchip details are submitted, and the adoption is officially finalised.